When it comes to spring and summer getaways, the Caribbean is a hotspot for travel. 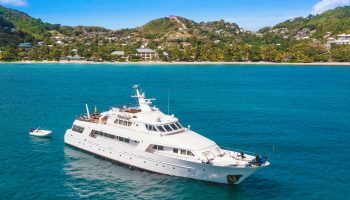 With its 7,000 islands, all surrounded by turquoise sea and edged with miles of white-sand beaches, there’s no surprise that destinations like Dominican Republic, the Bahamas and Turks & Caicos are among the most visited vacation spots for U.S. travelers. 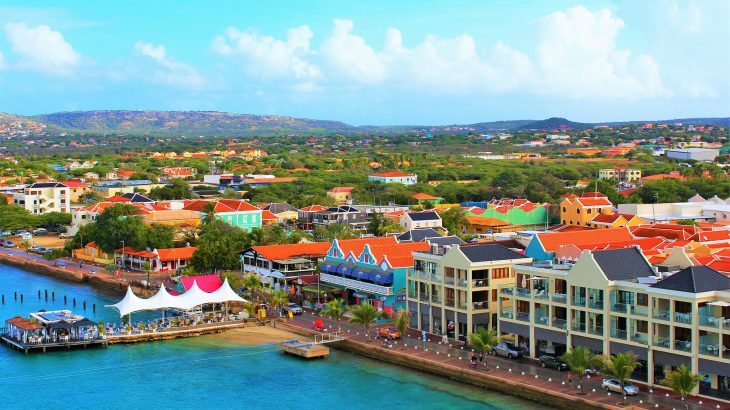 But, in the center of the ABC islands, between Aruba and Curaçao, is a hidden gem silently waiting its applause. Cue a standing ovation for Bonaire. This tiny 100-square-mile island is beckoning tourists in troves. 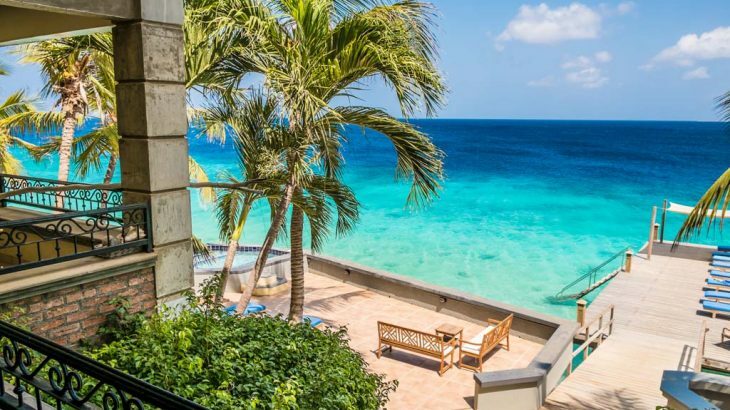 AirBnB reports a 51% increase in arrivals to three otherwise overlooked islands—Bonaire, Sint Eustatius and Saba—with Bonaire accounting for 95% of that influx. 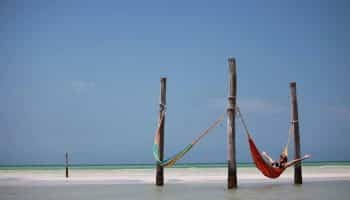 But why is this seemingly off-the-map island suddenly a bucket list destination for so many travelers? We took a deeper dive into this tiny atoll to find out exactly what’s behind all the hype. 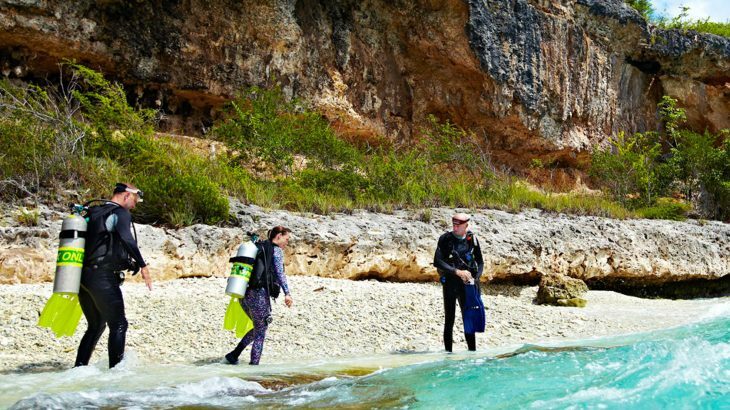 Bonaire has earned accolades among the diving community for its teeming system of coral reefs, not to mention, the island is almost entirely surrounded by a national marine park with 89 dive and snorkel sites, of which 54 are accessible from shore. 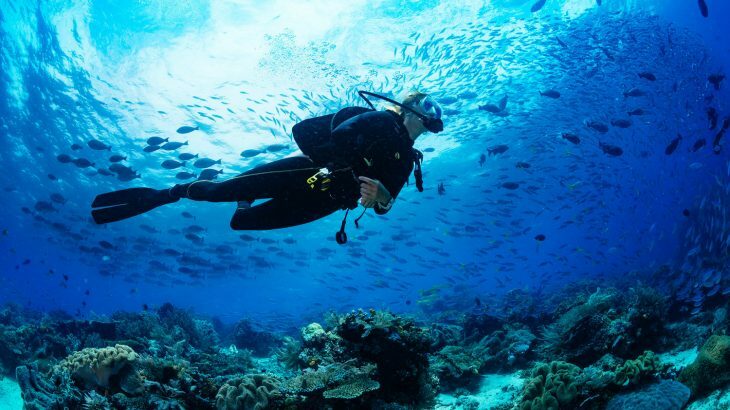 Divers of all skill sets flock to the island for uninterrupted diving experiences, ogling at the more than 350 species of fish and vibrant living coral at Bonaire Marine Park. Above the surface, the view is equally as bright. Pastel-colored chalets line the streets of the capital, Koralendijk, which aptly translates to “coral reef” in Dutch. Pink, blue and yellow storefronts house island galleries and boutiques, along with restaurants that serve a melting pot of Dutch, Colombian, Chinese, Italian and other cuisines. For nature lovers, Monte Brandaris makes for a challenging hike to the highest peak of the island, where, on a clear day, you can see all the way to Curaçao. The trek up the 791′ peak is fairly challenging, with a rugged trail through Slagbaai National Park. However, the wildlife along the way is worth it. The park shelters Green Turtles, seabirds, yellow-shouldered Amazon parrots and the endangered Caribbean Flamingo. Courtesy of the Tourism Corporation Bonaire. 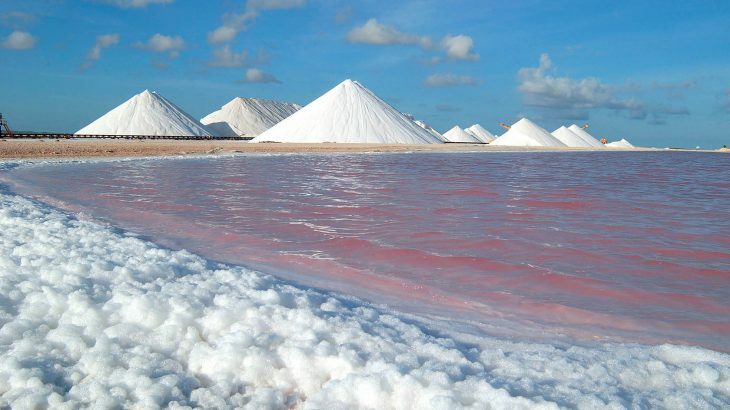 Another must-see sight for any visitor to Bonaire are the epic salt pans, a natural resource responsible for the island’s thriving salt industry. Here, you can see massive mounds of salt crystals bordering pink flats. Flamingo Reserve is nestled within the salt land, and is one of the only four places on Earth where flamingos mate. For a smaller island, Bonaire has more than 22 beaches, all of which vary greatly depending on the health of the surrounding coral. Instagrammers delight at Pink Beach, where the crushed shells of millions of microscopic creatures give the sand a delightful blush hue. 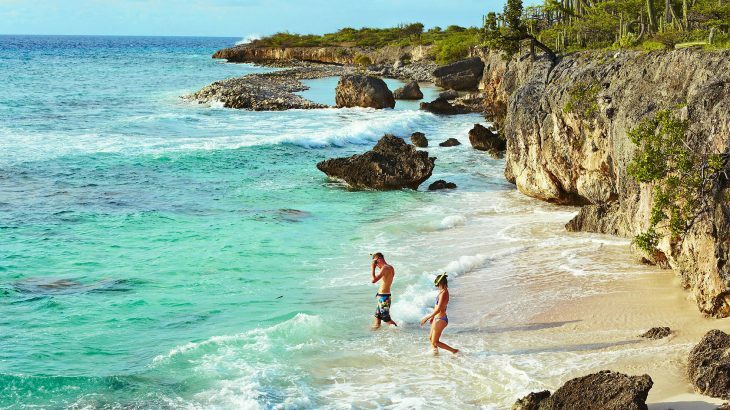 Visit Atlantis Beach for a lively glimpse of jumping kite boarders, or tread carefully down limestone stairs to the beach of 1,000 Steps. 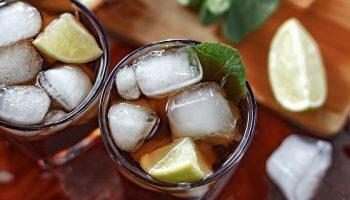 For a more resort-like lounge, Eden Beach and Flamingo Beach are both situated steps from resorts. 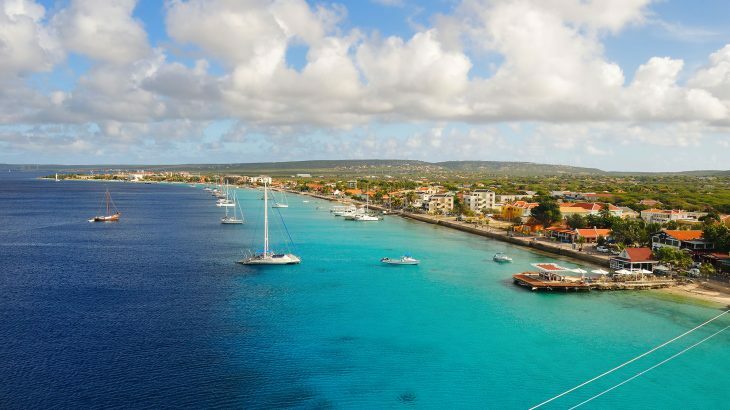 It’s easy to visit Bonaire from the United States, with direct flights from Houston, Atlanta, Miami and Newark. 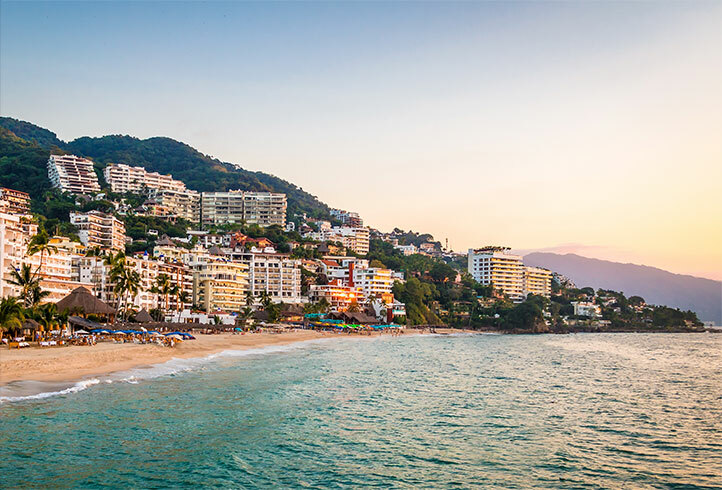 Once there, you’ll find several beachfront resorts that cater to families and couples alike. 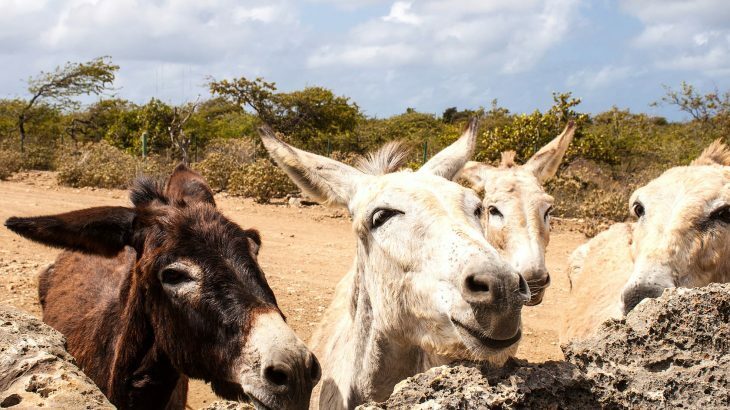 Unlike common tourist destinations, Bonaire maintains an authentic and utterly charming vibe. 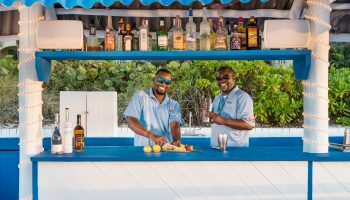 The people are welcoming, kind and warm, and the island’s mantra of “Once a Visitor, Always a Friend,” rings true with return visitors of more than 30 years making the short trip to the island for true rejuvenation.